PVC pond liners make it possible to form the backyard pond of your dreams to fit the space your have available. 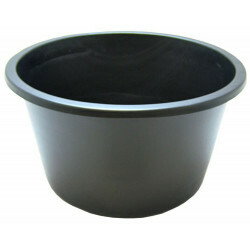 PVC liners are simple to install and completely customizable: just cut to fit whatever shape you need. PVC is a safe, flexible material that is suitable for use with plants and fish, is super durable and UV-resistant for a long life. 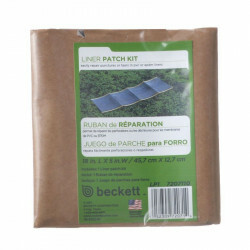 Pet Mountain's Pond Liner store also features several great options for patching pond liners should a rip or tear ever occur. 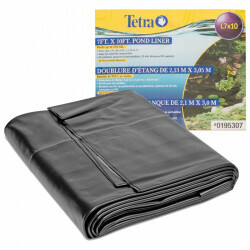 Liner patches couldn't be easier to apply, and will return your pond to top quality in no time. 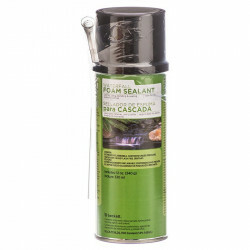 Waterfall owners will want to browse our selection of waterfall sealant spray as well. Quality spray products from Tetra and Beckett create instant foam seals to keep your waterfall running smoothly.